MASCON HEALTHCARE PVT LTD RESTRETA BOTTLE TABLET Restreta Bottle Tablet - Buy online at best prices with free delivery all over India. Know composition, uses, benefits, symptoms, causes, substitutes, side effects, best foods and other precautions to be taken with Restreta Bottle Tablet along with ratings and in depth reviews from users. Product #: 3.7 stars based on 3 reviews 5.0 1.0 SOM Price: Rs.3022.50 Rs.3022.50	Available from: SAVEONMEDICALS.COM In stock! Order now! Improves antioxidant capacity, immunity, male fertility, digestion. Reduces ageing process, symptoms of ulcerative colitis. Maintains overall health in postmenopausal women, blood sugar levels in diabetic patients, symptoms of obsessive-compulsive disorder. Relieves symptoms of respiratory conditions. Treats psychiatric disorders (bipolar disorder). 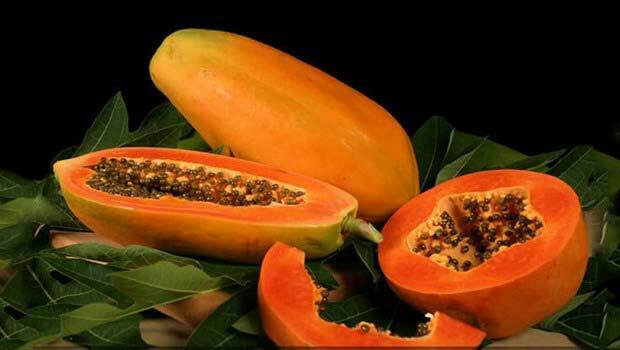 Prevents colon cancer, lung cancer, asthma, and angina. When a person suffers from certain obsessions or fears and unreasonable thoughts that result in repetitive behaviors, this is known as obsessive-compulsive disorder or OCD, which is a condition related to mental health. These compulsions and repetitive behaviors usually interfere with the daily activities of the person and cause a lot of distress. These are not the only kinds of compulsions and obsessions related to OCD, but they generally fall into these categories. Typically, OCD begins when the person is in the teens or as a young adult. The symptoms usually begin gradually and may vary throughout the person’s life. When the person is stressed, the symptoms may worsen. OCD is a disorder that remains lifelong and the symptoms can range from mild to moderate or it may become so severe and time-consuming that it can disable life. OCD comprises both obsessive, as well as compulsive behaviors. However, it may also include having only obsessive or only compulsive behaviors. Anxiety of getting contaminated by touching things that other people have touched. Doubts if you have switched off the stove, locked the door, etc. Feeling of great stress when objects are not symmetrically placed or facing in a particular way. Unwanted images of hurting someone or yourself that make you extremely uncomfortable. Acting inappropriately or shouting obscenities that make you uncomfortable. Distress caused by sexual images that occur repeatedly in the mind. Avoiding situations that can cause the triggering of obsessions like shaking hands, etc. Compulsive behaviours are metal or repetitive behaviours that reduce or prevent anxiety that is related to your obsessions or to prevent something bad from occurring. However, engaging in these compulsive behaviours do not make you happy, but may only result in temporary relief from the feeling of anxiety. Repeatedly checking doors to ensure that they are locked. Checking repeatedly if the stove is off. Silently repeating a word, phrase or prayer. Arranging articles and things to face in a specific way. Foods such as refined carbohydrates, foods with added sugars, containing saturated and trans fats and packaged and processed foods containing additives and preservatives are harmful to the body and also worsen the symptoms of OCD. Avoid foods and beverages containing caffeine such as coffee, soda, tea, energy drinks, etc., as they worsen anxiety and the condition of OCD. Avoid or reduce consumption of alcohol as this can intensify anxiety and stress and cause the symptoms of OCD to get worse. Be supportive of the person suffering from OCD and try to boost their self-image, confidence, and self-esteem. Set behavior rules and follow them. Try to maintain a normal family routine. Be positive. OCD is an illness and not a person’s fault or part of their personality. Be informed about the various aspects of the illness to be able to handle it better. Take definitive action and get help professional help if required. Get enough of sleep, as sleep deprivation can increase the production of stress hormones such as adrenaline and cortisol that worsens conditions like anxiety, OCD, etc. Soaking in warm baths, listening to soothing music and breathing slowly and deeply can help to make the symptoms of OCD better. Have relaxed meals. Rushing meals or skipping them can cause the blood sugar to drop and make the anxiety and symptoms related to stress and OCD to worsen. Don’t acknowledge or get involved in the person’s rituals and obsessions as this will only worsen them. Don’t be persuaded by emotional blackmail, tears or any other methods used by the person to support a person’s compulsions as this will only make them worse. Don’t be embarrassed by the illness and get help and support. OCD is very difficult to understand and handle. So, don’t give up on the person suffering from the illness and educate yourself so that you can handle it better. Supplements like adaptogen herbs like holy basil, ashwagandha root, licorice root, Panax, ginseng, etc. can help to reduce the cortisol levels and also the symptoms of OCD. People with OCD can benefit from exercises that help to promote relaxation such as yoga, breathing techniques, tai chi, etc. It has been found that moderate aerobic exercises can help to reduce obsessions and compulsions in just 1 week. Acupuncture may be another method that can help in treating OCD symptoms by increasing the levels of serotonin production. Research shows that music can have positive benefits for people suffering from anxiety, depression, OCD, etc. by helping to redirect their thoughts and reducing stress levels. Studies reveal that mindfulness and meditation practices can help to relieve the symptoms of OCD significantly. Support of a professional therapist, family and friends can play a significant role in a person overcoming OCD. Taking up hobbies and other calming activities can go a long way in relieving the symptoms of OCD. Milk thistle contains silymarin, a flavonoid that helps to manage mood-related disorders and is a great remedy that can help to manage the symptoms of OCD. Borage oil contains gamma-linolenic acid which has anti-inflammatory properties that help to reduce symptoms of anxiety and OCD. St. John’s Wort or SJW can help to treat various psychiatric conditions such as OCD, depression, etc. by acting as an inhibitor that inhibits the reuptake of monoamine and blocks serotonin, which is a neurotransmitter, which plays a dominant role in the development of OCD. What is the frequency of use of RESTRETA BOTTLE TABLET? Have you been prescribed RESTRETA BOTTLE TABLET by a doctor? How do you rate RESTRETA BOTTLE TABLET on price? This page was last updated on 24-02-2018. Follow a healthy diet, as an unhealthy diet can raise the inflammation in the body and alters the neurotransmitter functions and brain structures that worsens anxiety and the symptoms of OCD. Follow a diet comprising anti-inflammatory foods such as unrefined, complex carbohydrates, proteins, and healthy fats. Eating foods that are rich in B vitamins such as leafy green vegetables, brewer’s yeast, poultry, wild-caught fish and grass-fed beef help to reduce anxiety and OCD symptoms. Foods that are rich in antioxidants like fresh fruits like cherries, berries, tomatoes, citrus fruits, tomatoes and vegetables like green leafy veggies, bell peppers, broccoli, squash, Brussels sprouts, etc. can help to lessen the symptoms caused by OCD. Foods containing healthy fats and omega-3 fatty acids such as olive oil, coconut oil, avocados, walnuts, flax seeds, etc. can help to reduce anxiety and OCD symptoms. Foods like sea vegetables, avocados, nuts and leafy greens are rich in magnesium that can help to reduce the OCD symptoms. Whole grains and whole grain products such as barley, brown rice, oats, wild rice, quinoa, etc. provide nutrients to the body and produce more serotonin that promotes calmness in the body. Low-fat dairy such as milk, yogurt, etc. help to regulate the blood sugar and tryptophan, an amino acid and promotes calmness. Consuming foods such as whole grain cereals, meats, beans, seafood, nuts and dairy products containing zinc can help to modulate the response of the body and the brain to stress, as zinc is a neurotransmitter and it also helps to reduce OCD symptoms. Q1) Is RESTRETA BOTTLE TABLET effective? Q2) What is the frequency of use of RESTRETA BOTTLE TABLET? Q3) Have you been prescribed RESTRETA BOTTLE TABLET by a doctor? 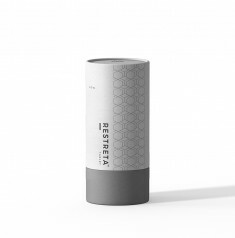 Q4) How do you rate RESTRETA BOTTLE TABLET on price? Q5) What is your overall rating of RESTRETA BOTTLE TABLET? Is RESTRETA BOTTLE TABLET effective? Need to know about substitutes / similar medicines like RESTRETA BOTTLE TABLET. Click here. What are the uses of RESTRETA BOTTLE TABLET? What are the side-effects of RESTRETA BOTTLE TABLET? What is the composition of RESTRETA BOTTLE TABLET? What are the contraindications of RESTRETA BOTTLE TABLET ? What are the Do's Of RESTRETA BOTTLE TABLET? What are the Dont's Of RESTRETA BOTTLE TABLET? What are the symptoms where RESTRETA BOTTLE TABLET is used? What are the causes where RESTRETA BOTTLE TABLET is used? What are the best food interactions of RESTRETA BOTTLE TABLET ? What are the worst food interactions of RESTRETA BOTTLE TABLET ? What are the substitutes of RESTRETA BOTTLE TABLET ? Some useful tips for RESTRETA BOTTLE TABLET ?